Full Day rentals hours: 8:30-5:30. All safety gear, maps, and fuel provided. 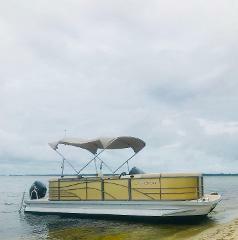 Pontoon Boat accommodates up to 12 passengers. Half Day rentals hours: 8:00-1:00 or 1:30-6:30. All safety gear, maps, and fuel provided. 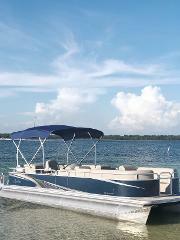 Pontoon Boat accommodates up to 8 passengers. Half Day rentals hours: 8:00-1:00 or 1:30-6:30. All safety gear, maps, and fuel provided.